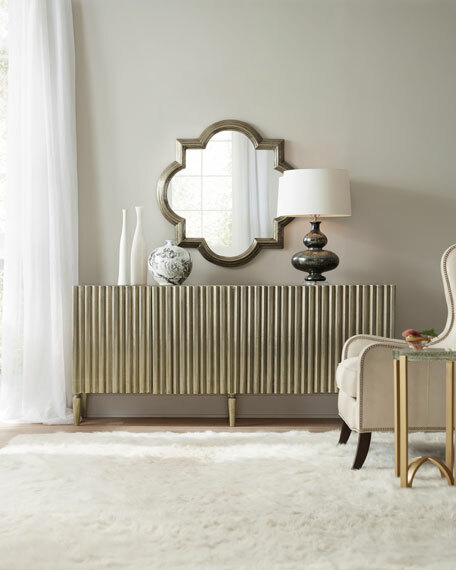 Exquisite in every way, this silver console will be the center of attention anywhere in the home. 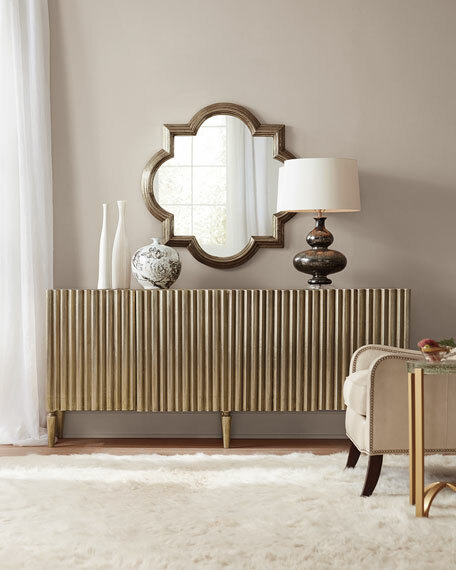 This gorgeous profile is sleek and bold with graceful legs, a ribbed pattern on the door front all covered in hammered German Silver to add texture and dimension. Solid hardwood frame with German silver foil. Four doors with soft close hinges. One fixed wood shelf behind each set of doors, shelves are removable. 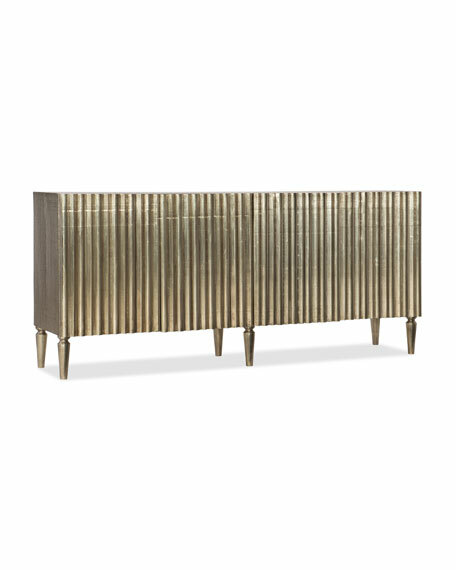 Equally at home as a dynamic accent piece or buffet, ventilated with wire management. 78"W x 18.5"D x 35"T.
Boxed weight, approximately 200 lbs.